Ativan is used in the treatment of anxiety disorders and for short-term (up to 4 months) relief of the symptoms of anxiety. It belongs to a class of drugs known as benzodiazepines. BuSpar (Buspirone) is an anxiety medication. BuSpar affects chemicals in your brain that may become unbalanced and cause anxiety. Klonopin is used alone or along with other medications to treat convulsive disorders such as epilepsy. It is also prescribed for panic disorder (unexpected attacks of overwhelming panic accompanied by fear of recurrence). KLONOPIN belongs to a class of drugs known as benzodiazepines. Librium is used in the treatment of anxiety disorders. It is also prescribed for short-term relief of the symptoms of anxiety, symptoms of withdrawal in acute alcoholism, and anxiety and apprehension before surgery. It belongs to a class of drugs known as benzodiazepines. Librium is habit-forming and you can become dependent on it. You could experience withdrawal symptoms if you stopped taking it abruptly. Valium is used in the treatment of anxiety disorders and for short-term relief of the symptoms of anxiety. It is also used to relieve the symptoms of acute alcohol withdrawal, to relax muscles, to relieve the uncontrolled muscle movements caused by cerebral palsy and paralysis of the lower body and limbs. 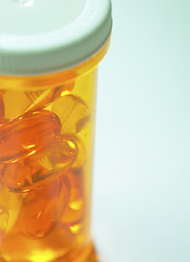 Valium can be habit-forming or addictive. You may experience withdrawal symptoms if you stop using this drug abruptly. Discontinue or change your dose only on your doctor's advice. Xanax is a tranquilizer used in the short-term relief of symptoms of anxiety or the treatment of anxiety disorders. Anxiety disorder is marked by unrealistic worry or excessive fears and concerns. Xanax is also used in the treatment of panic disorder, which appears as unexpected panic attacks and may be accompanied by a fear of open spaces called agoraphobia. Lorazepam is used in the treatment of anxiety disorders and short-term (4 month maximum) relief of anxiety symptoms. Lorazepam belongs to a class of drugs known as benzodiazepines. Diazepam is used to treat anxiety disorders and short-term relief of the symptoms of anxiety. Also it is used to relieve symptoms of acute alcohol withdrawal, to relax muscles, to relieve the uncontrolled muscle movements caused by cerebral palsy and paralysis of the lower body and limbs. Diazepam can be potentially habit-forming or addictive. You may experience withdrawal symptoms if you stop using Diazepam abruptly. Discontinue or change your dose only on your doctor's advice. Alprazolam is a tranquilizer used for short-term relief of anxiety symptoms and the treatment of anxiety disorders. Anxiety disorder can be marked by unrealistic worry or excessive fears and concerns. Alprazolam is also used in treating panic disorder, which appears as unexpected panic attacks and may be accompanied by a fear of open spaces called agoraphobia. Clonazepam is used alone or in conjunction with other medications to treat convulsive disorders such as epilepsy. Clonazepam is also prescribed for panic disorder (unexpected attacks of overwhelming panic accompanied by fear of recurrence). Clonazepam is within the class of drugs called benzodiazepines. Chlordiazepoxide treats symptoms of anxiety disorders. Chlordiazepoxide is also prescribed for short-term relief of the symptoms of anxiety, symptoms of withdrawal in acute alcoholism, and anxiety and apprehension before surgery. Chlordiazepoxide belongs to a class of drugs known as benzodiazepines. Chlordiazepoxide is habit-forming and you can become dependent on it. You may experience withdrawal symptoms if you stop taking it abruptly.